This entry was posted in Concerts & Events and tagged snowy monaro arts council inc on August 26, 2014 by allan. Australian National Busking Championships – Camping! 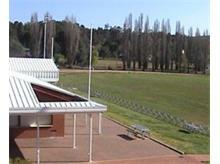 Cooma Showgrounds will be available for camping at the Australian National Busking Championships. Donna at the Cooma Visitors Centre has just confirmed that the Cooma Showgrounds will be available for anyone wanting to camp or bring a motorhome or caravan.They have powered and unpowered sites as well as a shower and toilet block. It would have to be booked though the Cooma Visitors Centre. Book your site by contacting the Cooma Visitors Centre: 1800 636 525 freecall) or email: info@visitcooma.com.au. This entry was posted in Competitions and tagged Australian National Busking Championships on August 24, 2014 by allan. 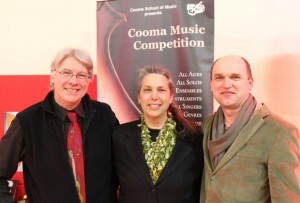 The Cooma Music Competition was a huge succes. This was the ninth year for this event. 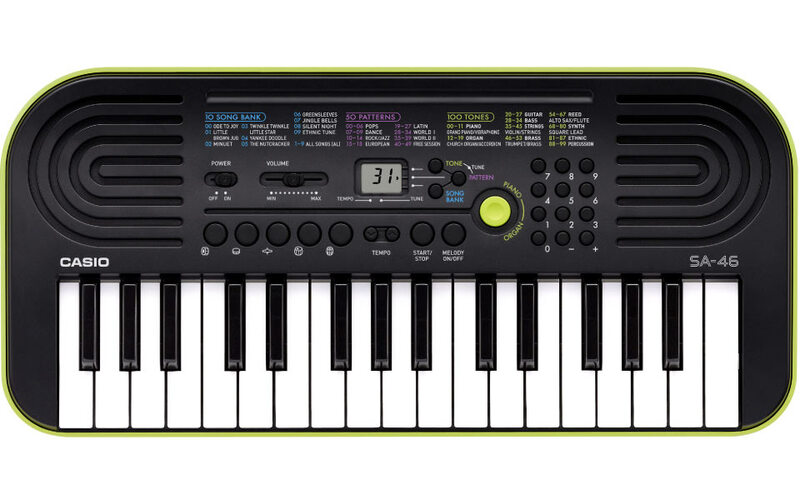 There were over 50 items performed during the day time heats which had a total of 15 catagories which cover a huge range of ages, order instruments and musical genres. Over the 6 hours of performance, troche the contestants gave their all. The winners of their heats were then invited back to perform in the finals concert held at St Paul’s Anglican Parish hall in the evening. This year, Marian Budos came from Canberra to be our judge for the competition. 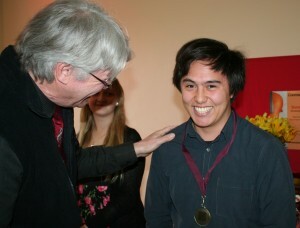 Mr Budos is the head of the music department at Alfred Deakin High School in Canberra. He was until recently, the president of Canberra Youth Music which has over 5,000 children participating in various music ensembles including the Canberra Youth Orchestra, James McCusker Orchestra, Canberra Youth Jazz Orchestra, plus many other concert bands and choirs. Mr Budos is also an internationally recognized composer and classical guitarist. 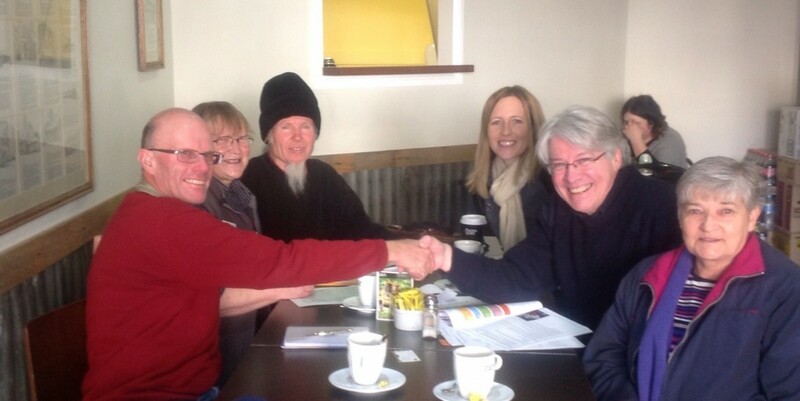 He has been judging for our Cooma Music Competition and the Australian National Busking Championships for many years. This entry was posted in Competitions and tagged cooma music competition, Marian Budos on August 18, 2014 by allan. Winners will share in $1000 in cash prizes! The names of all group members must be included on the entry form. One person per group should nominate to be the point-of-contact, and this person must complete the contact information. Be sure to include the details of your act, e.g., type of act, number of people, and any other relevant details. Feel free to add an additional page as needed. Entries close on Friday 12 September. Entry fees are non-refundable. Entries are limited. First-in, best-dressed, no exceptions. 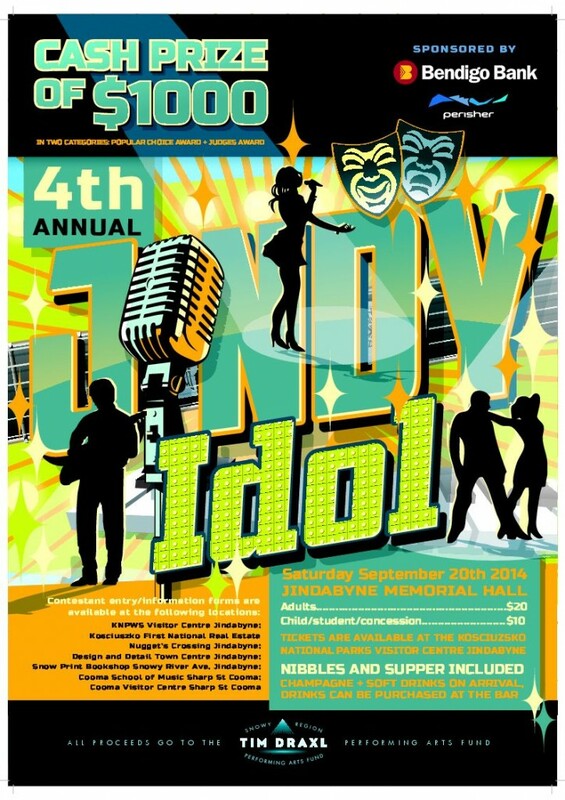 This entry was posted in Competitions and tagged Jindy Idol on August 17, 2014 by allan. 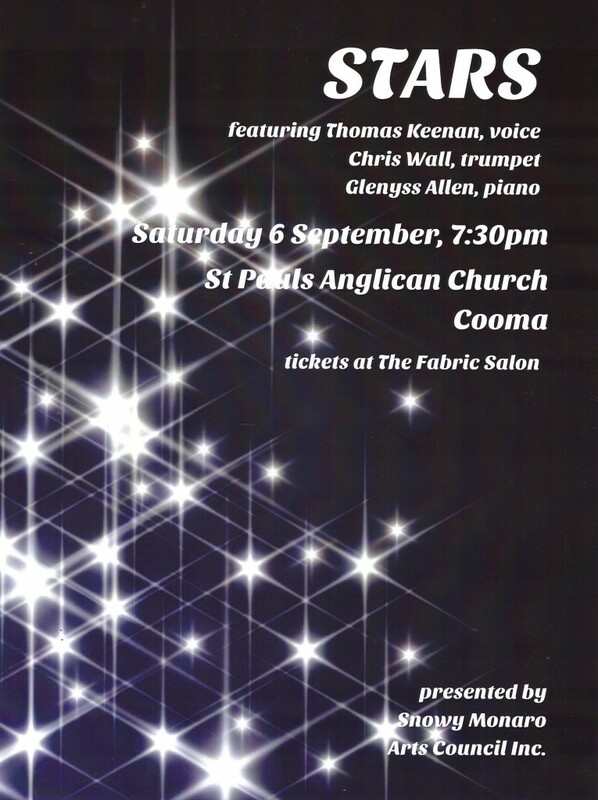 This entry was posted in Competitions and tagged cooma music competition on August 15, 2014 by allan. cialis sans-serif;”>Cooma Music Competition 2014, adiposity now in its ninth year, will provide an opportunity for musicians of all ages and skills to perform and compete. We hope this competition will be as inclusive as possible. 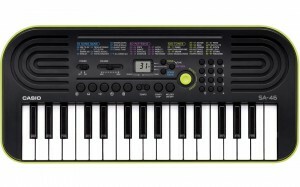 The competition will be open to all instruments and voice. 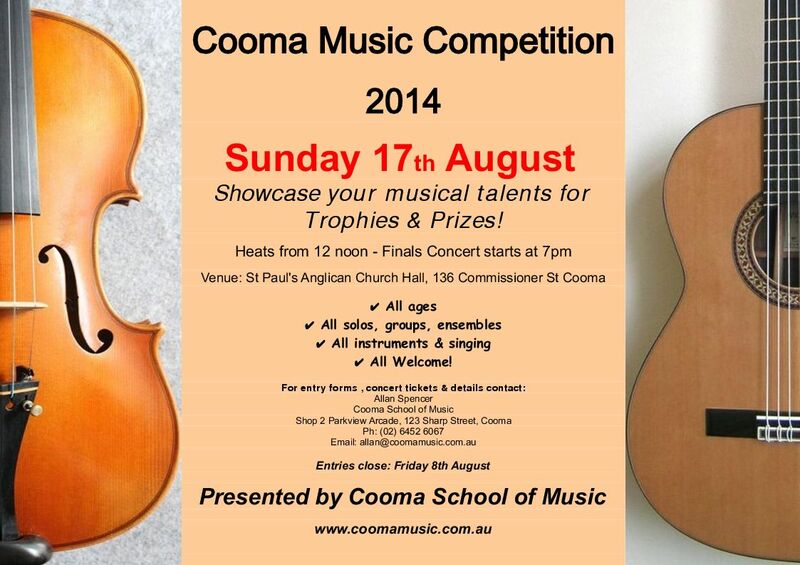 Although the competition will be conducted by Cooma School of Music, all musicians are welcome to perform. 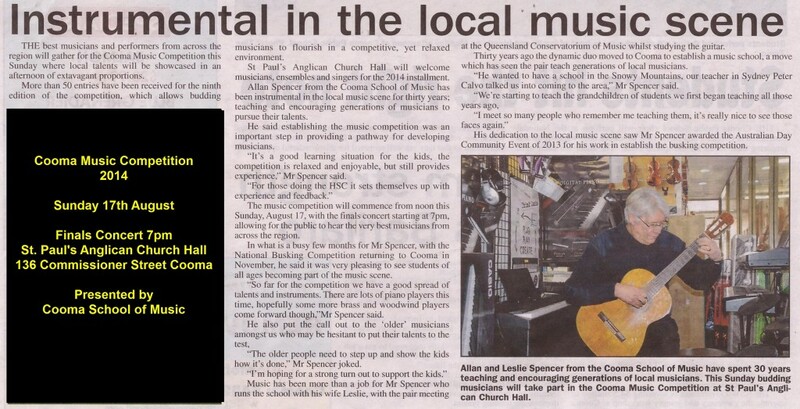 This entry was posted in Competitions and tagged cooma music competition on August 13, 2014 by allan.